For the campaign to be successful, men (and women) must be seen to lead and actively support the kaupapa. Ambassadors play a vital role in building support, visibility and developing a shared understanding of the campaign within their social groups, workplaces and communities. Our Ambassadors embody the principles of the campaign. They are chosen for their willingness to challenge the behaviour of abusive men, and to convey key messages directly to their own communities. Please feel free to download and submit your nomination forms for 2019. We are looking to communities to nominate potential male and female Ambassadors who are respected and influential role models in their workplaces, businesses, government departments, faith, cultural groups or wider communities. All nominees must be informed of the nomination and sign a statement that they are living violence-free lives and will uphold the White Ribbon pledge not to commit, condone or remain silent about violence towards women. Ambassadors will be provided with training, information packs and ongoing mentoring. If you would like an Ambassador to speak at your local event, please send the request through via this FORM. What you would like them to do, e.g. speech, take part in activity etc. We are unable to guarantee the availability of an Ambassador, but will do our best. The more advance warning we have the better your chances are. White Ribbon tends to organise local Ambassadors to attend local events so as to avoid significant travel as White Ribbon is unable to cover the costs of transportation to events. Dr Ajit Swaran Singh became the first Fiji-born Indian to be appointed to the District Court Bench in New Zealand. He was sworn in as a Judge in Manukau, Auckland on Diwali Day, 4 November 2002. 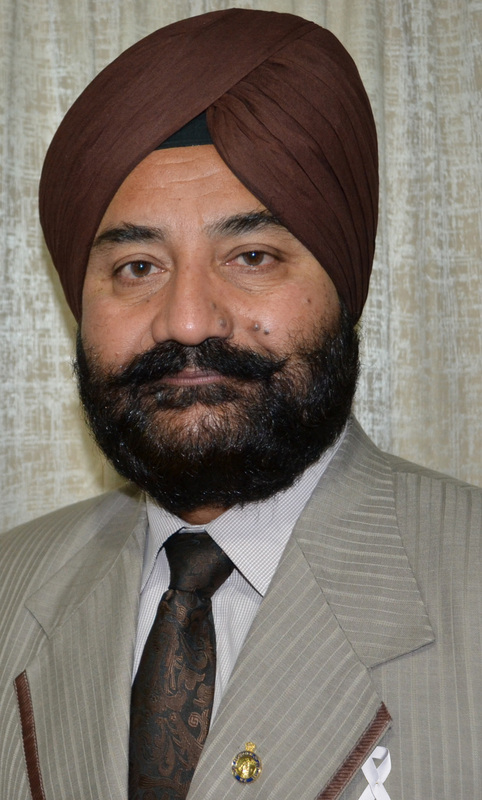 Judge Singh is the recipient of numerous awards for his outstanding achievements in the field of public service. He regularly speaks at the Ethnic A Conferences and community forums on cultural issues concerning family violence/child abuse/mental health/bullying in schools, particularly as such issues affect the immigrant & refugee communities. For many years Dr Singh has been involved with community education on family violence issues, particularly for recent migrant groups, youth and senior citizens. 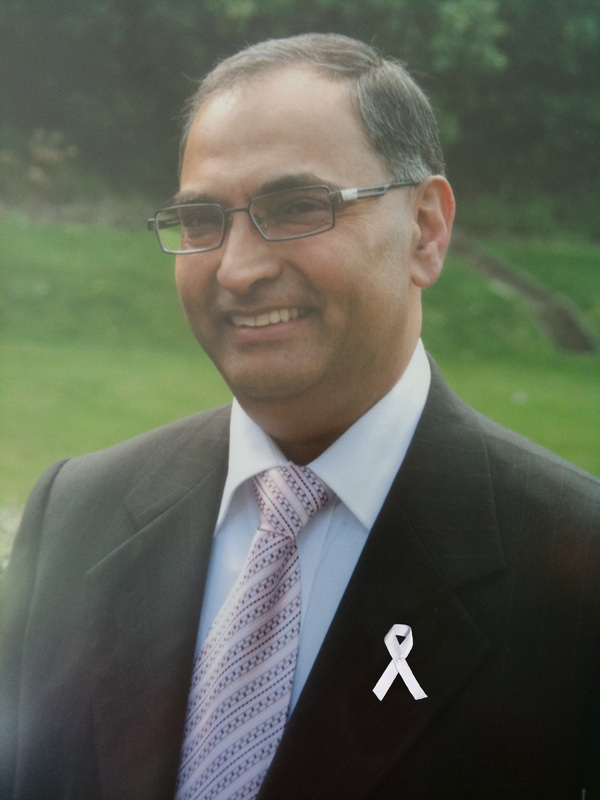 In becoming a White Ribbon Ambassador, Dr Singh will promote the principles of White Ribbon by supporting the campaign, challenging the behaviour of abusive men, and encouraging others to do the same. Rei is the General Manager of the Village Collective, Manukau, South Auckland, having left the Police where he was a senior sergeant. His role is to promote healthy relationships with a focus on youth. Within this role, Rei talks openly to youths about sexual relationships and runs workshops on building confidence and remaining true to oneself. Rei promotes education around a wide range of issues to migrant communities. He is seen as a strong leader in the community, especially within Pasifika groups, and ‘walks the talk’ when it comes to bringing an end to men’s violence against women. Alasdair is a highly respected member of the Police force. As Senior Sergeant and Officer in Charge in the Kapiti Policing area, he has implemented numerous community policing projects and been very supportive of Voices Against Violence Initiatives. Alasdair demonstrates both a professional and personal commitment to addressing domestic violence. He is available, active and goes the extra mile when addressing domestic violence in his community. In becoming a White Ribbon Ambassador, Alasdair hopes to demonstrate that the NZ Police are 100% behind the White Ribbon Campaign. Great to have you in the team Alasdair! Alfred entered Parliament as a List MP for National at the 2011 election. Based in Auckland, Alfred is a New Zealander of Cook Islands descent and is married with four children. Alfred has a strong Governance and community development background. 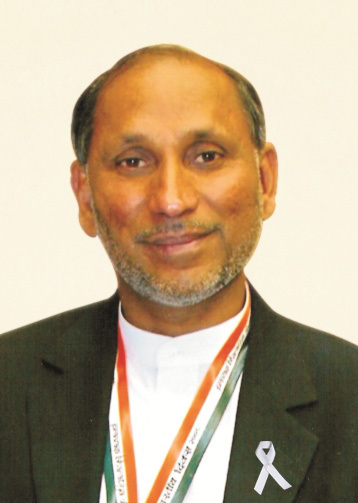 He has international experience in community development with developmental work in Canada and also the Cook Islands. He also has experience sitting on a number of national, regional and local Governance Boards and Advisory Committees prior to entering Parliament. Alfred was also a recipient of the 2009 Sir Peter Blake Emerging Leaders Award. 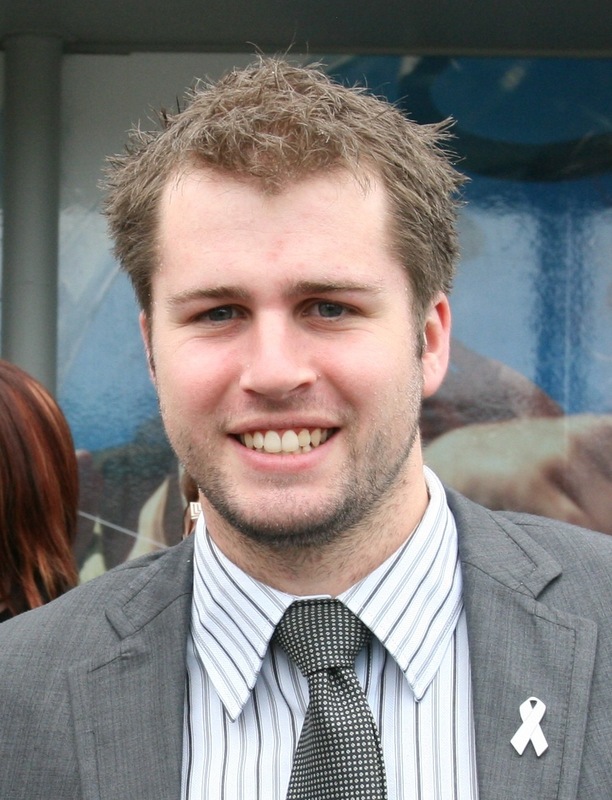 Andrew Falloon is the Member of Parliament for the Rangitata electorate, having been elected for the first time at the 2017 election. He sits on the Economic Development, Science and Innovation Committee, and previously served on the Justice Committee where he worked on the issue of prevention of forced marriage for minors. Prior to entering Parliament Andrew worked in farming, government, and the banking sector. He lives in Pleasant Point, just outside Timaru, with his wife Rose and their four rescue cats. 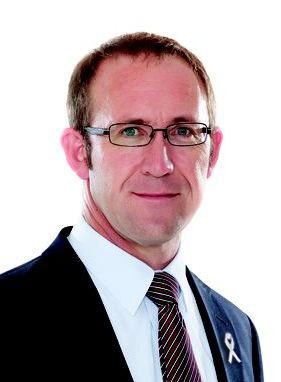 Andrew Little is the former national secretary of New Zealand’s largest trade union, the Engineering, Printing and Manufacturing Union (EPMU) and former president of the New Zealand Labour Party, now leader of the Labour Party. Andrew saw an excellent opportunity to spread the White Ribbon message to the 50,000 members of the EPMU – and so approached the Campaign to work together and become an Ambassador. Andrew continues to advocate for equal rights and and end to violence towards women. Andrew Shortcliffe was raised and educated in Auckland. A graduate of Auckland University and the Auckland College of Education. He has spent many years teaching young people in both the public and the private sectors , in both primary and intermediate schools in New Zealand and abroad. He is currently the Principal of Fairfeld Intermediate School. In recent years Andrew has also won national awards for his community service and educational leadership. Andrew is passionate about helping young people develop their full personal potential, both in terms of character and ability. To this end, he is pleased to use his influence, profile and best endeavours to reduce the incidence of abuse against women in all situations, particularly in the home and family. Andy has worked in the area of family violence for the last ten years and has huge determination in making New Zealand violence free. Declaring himself a ‘salesperson for peace’, Andy has offered opportunities for his male colleagues to make themselves and their families safer. With a family of six, Andy understands the necessity of a non-violent household and puts into practise what he believes. He has spoken to a number of audiences on the subject, including the family violence sector and a range of students. Andy firmly believes that being violence free helps to create a balanced family, social and work life, and hopes, by becoming a White Ribbon Ambassador, to show this to other men. Anna Campbell, Global CEO of FAB Group, joins White Ribbon as our first female Ambassador. Anna held the role of Chief People Officer of The Warehouse Group until November last year. During her time at the Group, The Warehouse became the first New Zealand employer to gain White Ribbon accreditation. Anna’s role as an ambassador will be to encourage other businesses to seek White Ribbon Business Accreditation. “As a mother of three boys, I’m acutely aware of the importance of raising them to understand what good relationships are and to be respectful men. However, New Zealand companies also need to play their role. Family violence has serious and devastating effects in New Zealand. For employers, it can impact your team’s ability to bring their best selves to work. So, I encourage employers to support their team whether they’re impacted by violence or want to stop using violence.” Anna believes New Zealand is one of the best countries in the world at hurting the people we love, and we all need to get involved to solve this problem. 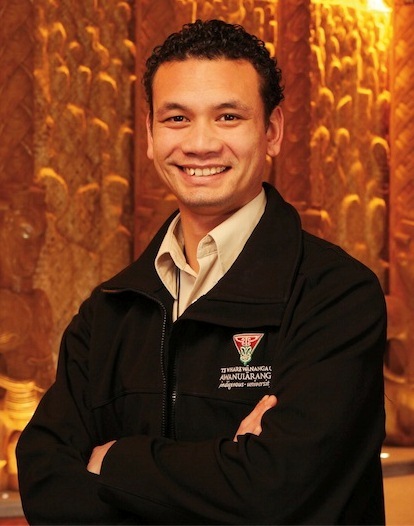 Arish was born in Fiji and moved to New Zealand in 2006. 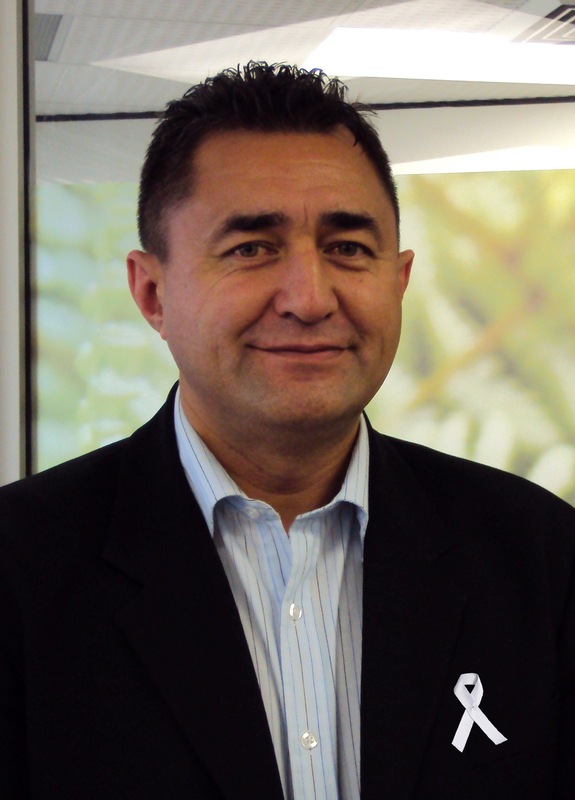 When he became a White Ribbon Ambassador, Arish was based in Gisborne and was the Director of Allied Health and Technical at Hauora Tairawhiti DHB, as well as President of Tairawhiti Multicultural Council. Arish has recently moved to Wellington to take on the role of Executive Director of Allied Health, Scientific and Technical at Capital & Coast DHB. He is also the Chairperson of the NZ Dental and Oral Health Therapists Association and President of the International Oral Health Association. Helping others is a core principle for Arish. He is a Board Member of UNICEF New Zealand and a Justice of the Peace. He is also the Founder of OWDSOCKS –Opportunities without Discrimination. Arish is committed to working to prevent violence against women. 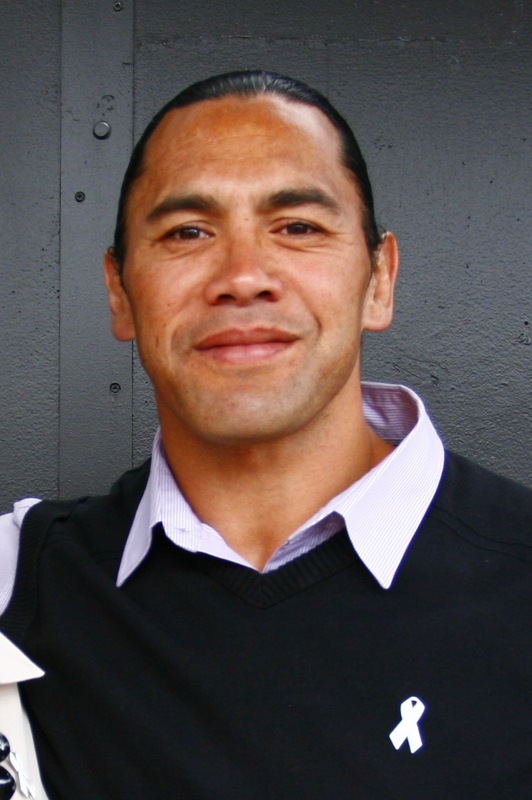 Awen retired from professional league several years ago, and is now a Sports commentator for Maori Television (Code) and Sky Television. He is married to Natasha has two children. Barry Matthews was Chief Executive of the New Zealand Department of Corrections from 2005 to 2010. Prior to that he was a long-serving police officer. Barry worked in the public sectors of New Zealand and Australia for almost four decades. He has a Masters Degree in Business Administration, Law Professional examinations, a Bachelor of Laws Degree and a Diploma of Criminology. Barry helped to broker the use of Corrections to make and distribute the White Ribbons for the campaign and the department utilised this opportunity to talk to prisoners about the campaign. 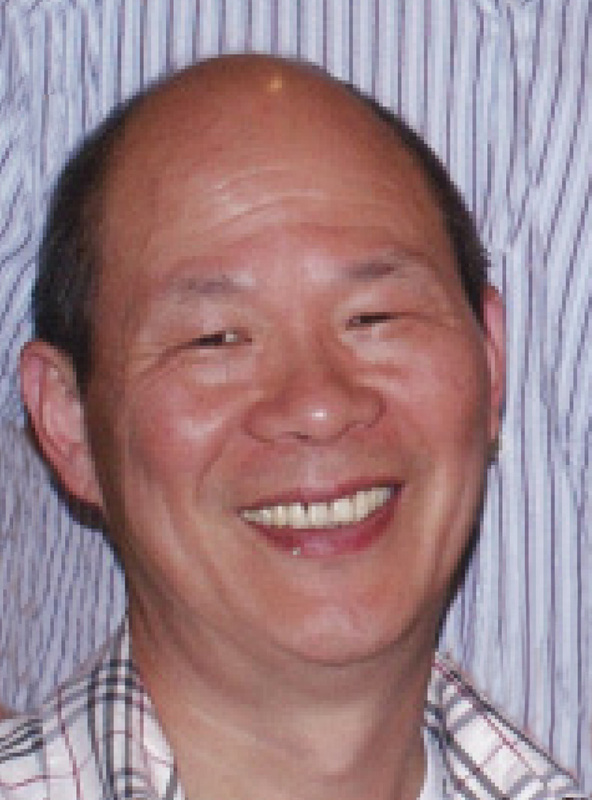 Benjamin lives in Auckland and was the Director of CPS Printing 2000 Ltd and a Committee member of the Taiwanese Hwa Hsia Society and Asian Council on Reducing Crime. Benjamin is a respected leader in the Taiwanese community in Auckland. He is a supporter of Shakti, is passionate about reducing violence and is keen for men to take responsibility. As a child he experienced violence and as an adult had been abusive to his wife and son. He sought help for his violence, made changes and took responsibility for what he had done to others. He has been public about his story and actively been challenging domestic violence in his community. His goal is ‘that all families are living free of fear, have peace of mind and above all without violence’. Bill O’Brien has seen the trauma associated with violent behaviour during a 35-year-long policing career. He is now a Trustee with the Sophie Elliott Foundation where he advocates zero tolerance to abuse. Bill manages the police-run year 12 Loves-Me-Not workshops in schools nationwide from a Foundation perspective and also acts as voluntary manager for Lesley Elliott. Bill has a strong personal connection to the White Ribbon movement. When researching for a book on the behavioural traits of mass-murderers he corresponded with Montreal police seeking background information into the Montreal Polytechnic killings. A reply he received from a police inspector shook him. The officer, responding to the tragedy, went from room to room where 14 young women had died. In the last classroom he found the body of his own daughter. That officer and Bill continued corresponding for some years. It was that rampage that saw the formation of the White Ribbon movement, a cause Bill feels personally committed to. Billy Te Kahika Junior is one of New Zealand’s premier guitarists and plays to audiences all over NZ, Australia, USA and the Pacific. His experience as a family man, musician, businessman, soldier, youth mentor and Christian make him an exemplary role model for men of all ages. As a musician, Billy reaches a wide audience of all ages and background. As a white ribbon ambassador Billy will use his presence and profile to further the campaign of non-violence to women. Bishnu came to New Zealand in 2006 as a refugee from Nepal. He was a school principal in Nepal and since he arrived in New Zealand he has been working closely with refugee and migrant communities. In 2017, Bishnu recived a civic award for working with refugees and migrants from the Christchurch City Council. He has worked closely with New Zealand police and other NGOs to reduce violence against women. He speaks Nepali, Hindi/Urdu and English and has a good knowledge of Thai. He is currently working as a Refugee facilitator at the Canterbury District Health Board in Specialist Mental Health Services. In addition, Bishnu is a member of the ethnic police advisory committee; member of SRV (Strengthening Refugee Voices) Canterbury Refugee Resettlement & Resource Centre; member of Christchurch Multicultural Council; member of Refugee Advisory Committee NZ Red Cross nationwide and former Chairperson of the Canterbury Nepalese Society. Blair hails from Queenstown, recently moving his family to Nelson. He grew up in a family with a history of domestic violence and is passionate about changing our countries terrible statistics around family Violence. He has been involved in the White Ribbon Campaign for the past seven years and is now an active speaker on the South Island Campaign Ride. 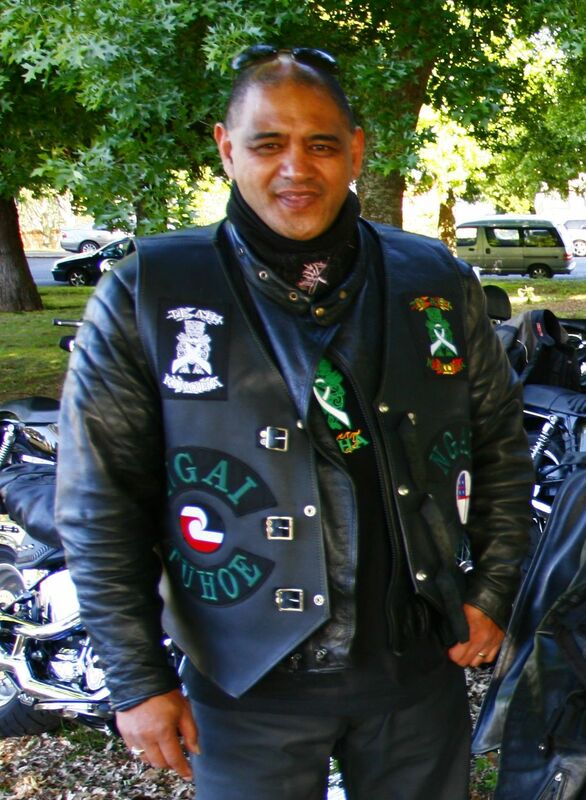 He was the founding member of The Redeemed Christian Motorcycle Ministry in the South Island and has a passion for the broken and disadvantaged people in our society. As part of Blair’s journey he works alongside Gang members wanting to make positive change within their organisations. He is excited about his Ambassadorship, and is looking forward to helping make positive change throughout his community alongside the White Ribbon Campaign. Bob Harvey is the Chairman of Waterfront Auckland, a Council Controlled Organisation (CCO), to deliver a world class waterfront for Auckland city. He is Chairman of the Telecom Foundation and member of Rugby World Cup 2011 and the Lotteries Commission for Rugby World Cup. He is Chairman of BNZ West and still holds the position of Vice President of Mayors for Peace. He is the former Chairman of the NZ Peace Foundation, Chairman Health Sponsorship Council, Deputy Chairman of the NZ Film Commission and a member of the Board of Te Papa. He served 6 terms as Mayor of the city of Waitakere, retiring in November 2010 when the city was amalgamated. He was awarded, with six international Mayors, the United Nations Award for Peace in 1997 and the United Nations Life Time Achievement Award for the Environment in 2007. He is married to Barbara, a mid-wife and has 6 grown children. Bruce has been a White Ribbon Ambassador since 2010. His career spans 27 years of leadership and transformation where making a difference to people and communities are central to his approach. He is an experienced speaker, motivator, marketer and director. He is currently CMO at digital marketing group, Yellow and chairman of NFP youth organisation, Zeal; is a former partner and managing director of Film Construction; and held the deputy chief commissioner role with the Families Commission for two years. Bryan Cadogan is in his third term as Clutha District Mayor. He grew up in the district and has previously been a local business owner and worked in the farming world, including shearing and owning a farm. He and his wife Allyson have 2 children, who are in their 20s, both live overseas, one in Australia and one in China. Bryan entered politics as one of the youngest ever Clutha District Councillors in 1998. One of Bryan’s big passions is youth unemployment, he recently stepped down from the national group Mayors Taskforce for Jobs and has established a very successful local programme Ready Steady Work to get all of Clutha’s youth into employment. Bryan is very passionate about the Clutha district and works hard to foster council’s goal of promoting growth in the district. Outside of work, Bryan is keen on cricket, rugby and gardening. Bryan and Tim Cadogan are the only brothers to be Mayor at the same time and in neighbouring communities. Mayoralty has allowed Bryan to support causes he has a strong empathy for, including Woman’s Refuge, White Ribbon and anything related to Youth especially around employment and challenges in their lives. A life that started with long periods of unemployment followed by over a decade shearing has given Bryan the privilege of experiencing life from all perspectives and Bryan feels it has been a humbling and heartfelt experience to become an ambassador for the White Ribbon Campaign. Callum is respected and recognised as a staunch advocate for the prevention of violence towards women. He currently participates in many stopping violence towards women activities in Taranaki. He is identified as a leader in the campaign to stop family violence and has a sound understanding of the issues that perpetuate the cycle of violence. He is an enthusiastic dedicated campaigner and is very successful at engaging a diverse range of people and groups in the campaign to eliminate violence towards women. Colin is the Vice President of the South Island Chapter of the Patriots Defence Force Motorcycle Club, and also the leader of the South Island leg of the White Ribbon Ride. has been involved with the White Ribbon Ride since it first began in 2008 and is very pleased to become an ambassador – though he may look tough, he has a soft heart. Craig is an ex N.Z. boxing Champion and is Director/Coach for a Boxing and fitness Academy in Hastings. His programme encourages young men to learn fitness, discipline, core values of respect, self control and dignity. Craig is very much in demand in local schools as a guest speaker and inspirational leader for our youth. He holds his wife and family as most precious to him and always promotes these relationships as a key to any success that he has had. “I am both excited and honoured to be welcomed into the White Ribbon Whanau. The underpinning message is of great importance to our people and I can speak from experience. My own family and many involved in my work deal with this on a day to day basis and It’s not O.K. 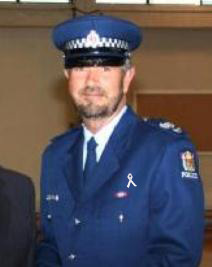 Detective Sergeant Darren Pritchard has been a member of the New Zealand Police for the past twenty years, in Hastings. For the past 6 years, Darren has been the Hastings Family Violence Coordinator responsible for the area. As a dedicated father, partner and police officer he is an asset to all groups he participates in – from Te Rito collaborations to White Ribbon Rides. He fully believes that everyone has the right to live their lives free from violence and abuse, and as Family Violence Coordinator and White Ribbon Ambassador can spread the White Ribbon message far and wide. Born and bred in Taranaki, Dane is the coordinator for a family violence prevention collaborative called Taranaki Safe Families Trust. His role is to work in unison with various organisations to deliver effective anti-family violence messaging and awareness. Prior to his current role, Dane was the facilitator for an alternative education provider for at risk youth in New Plymouth. 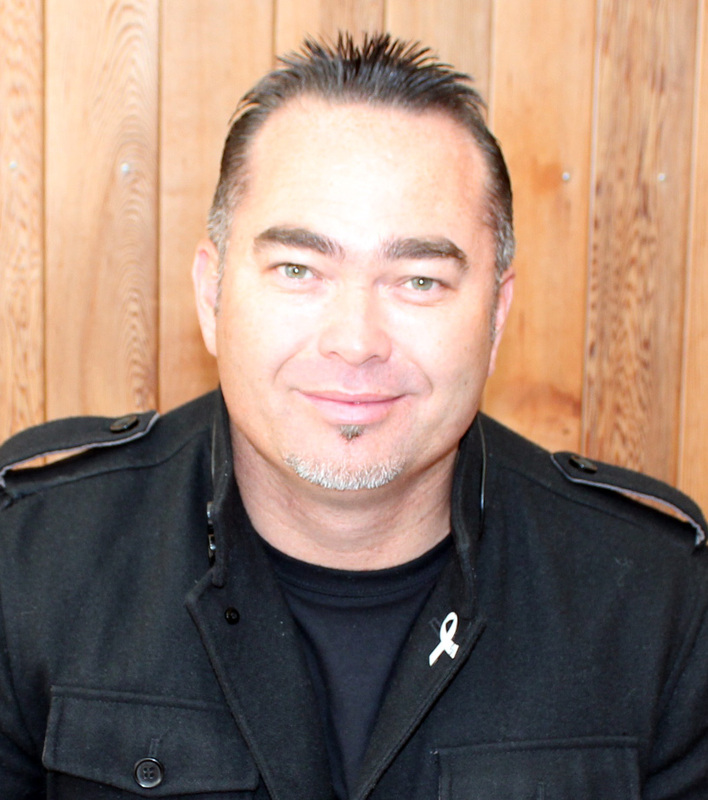 Dane believes everyone has the right to be violence free in Aotearoa, and as a White Ribbon Ambassador is committed to spreading the kaupapa through as many channels as possible. 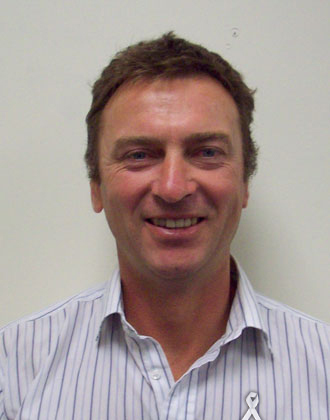 David Cournane has been working in Boys’ secondary education in NZ for close to 20 years. He has worked extensively in pastoral care, and at present works as HoD of Health and Physical Education and Wellbeing Co-ordinator at Wellington College. He is passionately invested in the notion that it is during the formative years of adolescence when we can make the most positive difference in the way that young men and women view and behave in relationships with others. If we can develop generations of young New Zealanders who respect themselves and each other, then we will have a community that is prepared to stand up, speak out and act to prevent men’s violence towards women. 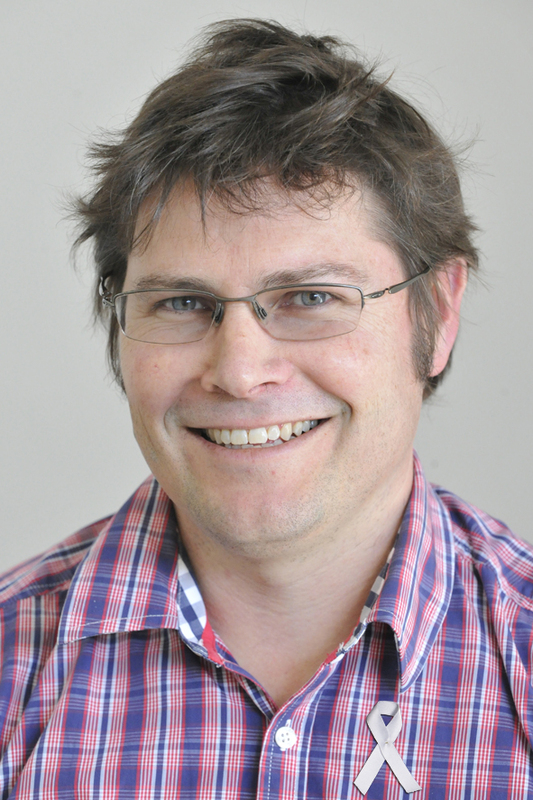 David Newman is a Developmental and General Paediatrician working from the Child Development Centre at Waikato Hospital for the past 16 years and was Clinical Director of the Waikato Department of General Paediatrics for 8 years to June 2014. David is currently President of the Paediatric Society of New Zealand, a multidisciplinary body supporting the education, professional development and advocacy of clinicians and allied health professionals supporting children and their families-whanau throughout New Zealand . David was the inaugural Developmental Fellow at the Mater Children’s Hospital in Brisbane Australia in 1995 then worked in Port Augusta, South Australia alongside the Royal Flying Doctors Service in 1996 and 1997. He is committed to the medical assessment, management and support of children special needs and their families in the context of a multidisciplinary team. David believes that one of the most powerful tools for families is knowledge and understanding of their child, their condition and the tools required to support them develop to their potential. He has served on the boards of two trusts providing services to children with disabilities. On the morning of 23 September 2009, David’s daughter Helen Meads was murdered by her husband Greg at the stables on their Matamata farm. It was the final chapter in years of control and abuse. “I’m proud of my daughter Helen,” says David. “She was a wonderful person who was cut down in the prime of her life by a controlling and violent person. There is some justice in knowing that Helen’s killer is behind bars, but I need to do more than that. I need to make sense of the awful situation we found ourselves in, and do my part to ensure the violence against women is both understood and ended.” As part of his mission to change attitudes, david write the book, Helen, the Helen Meads Tragedy. David has a long history of advocating for the equality of women and men and has been running sessions about eliminating violence towards women over the past year with excellent results. 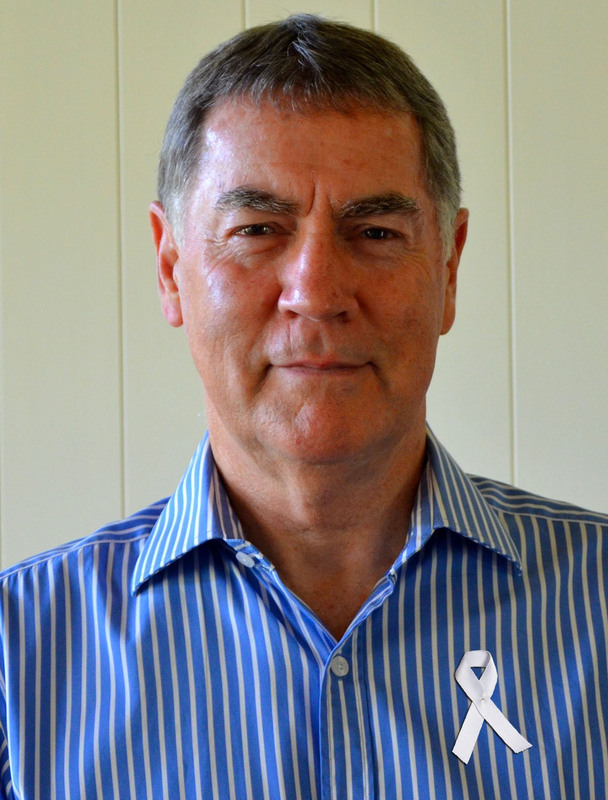 As a White Ribbon Ambassador David hopes to continue the work for eliminating violence towards women, advance the equality of women and men and create a greater social awareness for the opportunities and needs of the area. Tararua REAPs Budget Adviser Deanna Veerkamp is living by her philosophy of having the courage to take the first step towards standing up to end Family Harm for you, your family and the communities we live in. In 2018 Deanna became Tararua’s first female White Ribbon Ambassador. Deanna’s parents separated when she was very young; there were times of family violence as her parents battled against each other. Following a challenging childhood Deanna met her future husband at the age of 15, she moved from home and settled in a small rural town. As often happens, Deanna once again became a victim of family harm. Physical and emotional abuse was coupled with control and isolation leading to a loss of identity. Courage was found to make a change when one of their children was picked up and thrown across the room:“you can do what you like to me, but not to my kids”. With the support of Women’s Refuge, Deanna and her children broke free from the abusive relationship and began to re-build their lives. It hasn’t been an easy road, but Deanna is forever grateful she found the strength and support to “Stand up” not only for herself but for her family. Deanna – with her new husband and their beautiful blended family – is fully engaged with the White Ribbon movement. Their biggest hope is that their granddaughters and grandsons will grow up strong independent individuals and know what respectful relationships are so that they can live free from any abuse or family harm. Derek is currently Community Development Advisor at Westland District Council, Elder at Hokitika Christian Fellowship, Coordinator of the Big Brothers Big Sisters Mentoring Programme in Hokitika, Secretary of the Hokitika Community Patrol, member of the steering committee for the Hokitika Community Champions Project and Coordinator of the Safe Community Coalition in Westland. He has been married for 42 years to Diana, father of four children and grandfather of 13 grandchildren. Derek is an excellent communicator, who is passionate about preventing domestic violence in society. Eteuati Ete is a comedian, actor, writer and theatre producer who has decided to use his profile and influence particularly amongst Maori and Pasefika to raise awareness of family harm by sharing his own story of family violence as a victim and a perpetrator. He and his wife Mele Wendt have in the last year or so been sharing their lived experience of family violence, as presenters in the Nga Vaka Family Violence programme. They believe that “violence thrives in silence” and by speaking out they will encourage and embolden victims to find their own voice. They also provide practical advice on how they were able to eliminate the violence in their marriage. While Ete has been an actor for almost forty years who’s appeared in film, tv and theatre, having being one of the first Pasefika people to attend the New Zealand Drama School, he’s perhaps best known as one half of the highly successful Laughing Samoans comedy duo. Evans has a vast knowledge of family violence and feels passionately for making a difference to the community. He demonstrates strong leadership skills and strongly believes in what white ribbon represents. He is always leading by example and has no problem in challenging abusive behaviour. By standing up for what is right he encourages others within the community to do the same. Evans was a Care and Protection Social Worker at CYFs, President of the Ashburton Conference of St Vincent de Paul and on the National Board. He co-coaches the mid Canterbury under 18s Greens team and is a mentor with the Ashburton Buddy/Mentor programme. He is also heavily involved with the Ashburton Families Without Violence network and is at the forefront of the Family without Violence awareness activities. ‘As a white ribbon ambassador I hope to raise the profile of the serious issue of domestic violence and hopefully as more people stand up against this issue we will have a violence free society. I have long held the view that the one place that anyone should feel safe is in the home and so believe the issue of domestic violence needs to be wiped out and I am willing to do everything I can to make sure this happens’. Originally from the South Waikato and now residing in Northland, Fiona knows first hand what it is like living as a disabled child in a violent single parent home then to move into a violent domestic situation and come out of both to become a successful NZ Paralympic Cyclist. During that time she also survived losing all of her hard earned assets to fraud by her partner while training for her third Paralympics. Fiona has been motivational speaking in schools for 15 years throughout New Zealand and believes that sport has been a huge part of her healing and recovery. She is still competing and representing NZ as a Master in both Cycling and Duathlon sports, and will continue to do so as long as she is able. Gary is a Custody Officer at Wellington District Custody Unit and, in this role, talks to men on a daily basis about violence towards women and how to build respectful relationships. Gary makes a high number of referrals to support the men in custody, via the RAROA project. Gary is confident in challenging other’s attitudes and behaviours and making a change. Gary is currently involved in the Red Cross, United Nations and Ministry for Primary Industries. He is also a NZ Cadet Forces leader where he has the opportunity to work with boys and girls 13-18 and promote have respectful relationships. 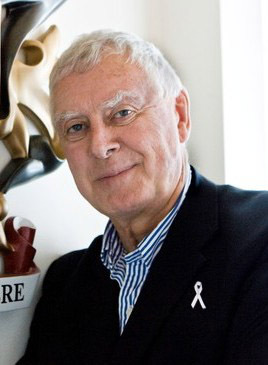 Gary’s father-in-law is a White Ribbon Ambassador (Peter McLaren). Geoff Davies was the First Grand Principal for the Free Masons. Mr Davies said he had a “lightbulb moment” when attending a White Ribbon fundraiser breakfast, and listening to a speech from ambassador and Chief Ombudsman Peter Boshier. “Freemasons is a men’s organisation, and family violence is a men’s issue – so White Ribbon seemed like the perfect fit,” Mr Davies said. “At the moment, we have one of the highest rates of domestic violence in the developed world, and men need to be standing up and taking ownership.” Mr Davies is a trained journalist and has held a variety of roles in the media and is currently working for the Defence Force in the Minister of Defence’s Office. In addition to his work with one of the embassies in New Zealand, Greg is passionate about committing his time and expertise to support a number of committees at the Hutt City Council, notably as a member of the Western Ward Community Panel, Civic Honours Committee and the Keep Lower Hutt Beautiful Committee. He is also an active leader in the Filipino community in Lower Hutt, where he periodically organizes socio-civic activities. Greg has a deep respect for women and high regard for their well-being, regardless of their cultural backgrounds, and is passionate about ending men’s violence towards women. He also is a member of the Hutt Valley & Districts Justices of the Peace Association Inc.
As well as captaining the Football Kingz in the Australian NSL, Harry has played 37 internationals for the All Whites, including matches at the 1999 Confederations Cup in Mexico. Harry is a board member of the NZPFA – New Zealand Professional Footballers Association. Part of his role involves facilitating the relationship between White Ribbon and NZ Football which has seen the Community Cup named the White Ribbon Cup. In 2011 White Ribbon became officially endorsed by the All Whites. 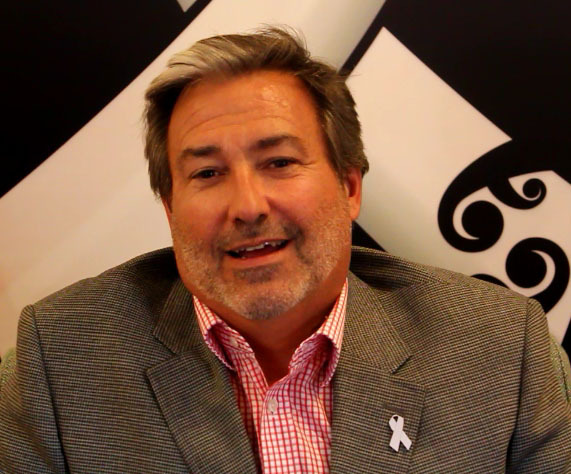 In his role as a board member of the NZPFA, Harry communicates and actively promotes the White Ribbon messages. Having worked at Child, youth and Family for many years, Harjit has shown himself to be enthusiastic and willing to assist whenever asked, and spends his spare time volunteering. He has volunteered for the South Auckland Family Violence Prevention Network, the Global Organisation of People of Indian Origin and many more show his passion for community work and dedication to serve the community. Seeing too many families affected by violence has inspired him to become a White Ribbon Ambassador, and Harjit feels that violence has no place in the Aotearoa community. Helen has a past lived experience of family harm. She is currently employed by the Waitaki District Council and is the coordinator of the highly effective ‘Safer Waitaki’ Safer Communities project. In this role she has been instrumental in raising community awareness of family harm across all sectors and currently coordinates an integrated, collaborative network of groups and organisations working together to create safer communities. As a result the community has become highly engaged in a range of activities including a highly successful poster campaign, workshops, youth led youth Youtube video project, White Ribbon events, cultural events and professional development opportunities for providers, community groups and organisations. Jackie Adams is a former Detective Sergeant with the New Zealand Police and worked in the roles of Family Violence Manager and Child Protection Manager. Originally from Ireland Jackie lived on the West Coast with his wife Tara and three daughters for several years before moving to the Wellington area. Jackie spent nine years in the British Army serving in Northern Ireland and Bosnia, yet he saw more violence in people’s homes as a Police officer than on the streets of Sarajevo or Belfast as a Solder. Jimmy is currently a Senior Security Advisor for the Ministry of Justice. In the past, he has been a Soldier, Police Constable, and Council Officer. Over the years he has worked to reduce family violence in Auckland, Palmerston North, and the Hutt Valley. As the father of a 21-year-old son, and a 12-year- old daughter, he has committed to being a role-model for them, and imparting the need for respect and non-violence within Whanau and families, especially towards our women and children. As an Ambassador Jimmy welcomes the privilege of continuing this as a White Ribbon Ambassador. He believes that being a man means that you are strong enough to care, and show you care. Jason has been a member of the New Zealand Police for 25 years and is currently the National Manager: High Performance based in Wellington. The bulk of Jason’s career has been in a range of operational roles in Dunedin including Area Commander for 4 ½ years and 16 years with the Armed Offenders Squad – he deployed to Afghanistan in 2011/2012 as part of the Provincial Reconstruction Team in Bamyan and to the Rio Olympics/Paralympics in 2016 as part of the New Zealand Police Security Team. Over an extended period in Police Jason has seen the harm created by Family Violence and he is committed to doing everything he can to change this situation, prevent Family Violence, and spread the White Ribbon kaupapa. The level of men’s violence against women in New Zealand is unacceptable but Jason is immensley proud to be part of the solution as a member of New Zealand Police and as a White Ribbon Ambassador. Jason has worked with fellow White Ribbon Ambassadors Lesley Elliott and Bill O’Brien and is a big supporter of the very effective Loves me Not programme developed by the Sophie Elliott Foundation. He is married with two wonderful children and sees the the challenge for all men as having the courage to stand up and show they respect women, to speak out against men’s violence towards Women, and to role model the right behaviours and attitudes so we support all boys to become good respectful men. I accepted the role of White Ribbon Ambassador as I am passionate about reducing the effects of family harm within the entire family unit. Having worked in the police for some time I have seen how the effects of family harm not only affected the intended victim but also others within the family unit who have witnessed the harm being delivered. Having taught the Loves-me-not programme in relation to respectful relationships since its inception I am only too familiar with the harm caused by isolation, intimidation and other psychological affects. This cycle of harm escalates in frequency and affect on the victim. Being an ambassador may give me the opportunity to assist a victim or family member experiencing family harm I may not otherwise have been able to help. Jeremy is a qualified counsellor with a Post Graduate Diploma of Counselling and a member of the New Zealand Association of Counsellors. He has been working in private practice for over 12 years. Jeremy has also studied and practiced insight meditation since 1984, and has been teaching retreats throughout New Zealand since 1993. 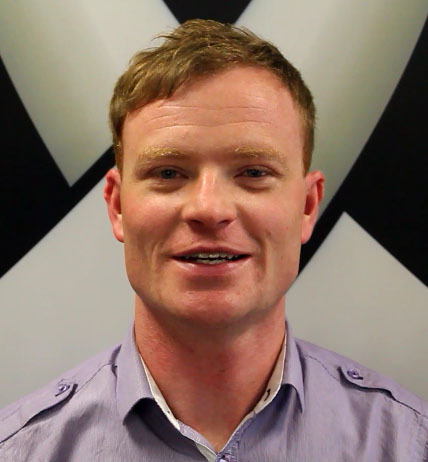 Through his work at Stopping Violence Services Wairarapa, Jeremy helps men to overcome their violent behaviours and attitudes, hence is directly living the kaupapa of the White Ribbon Campaign. 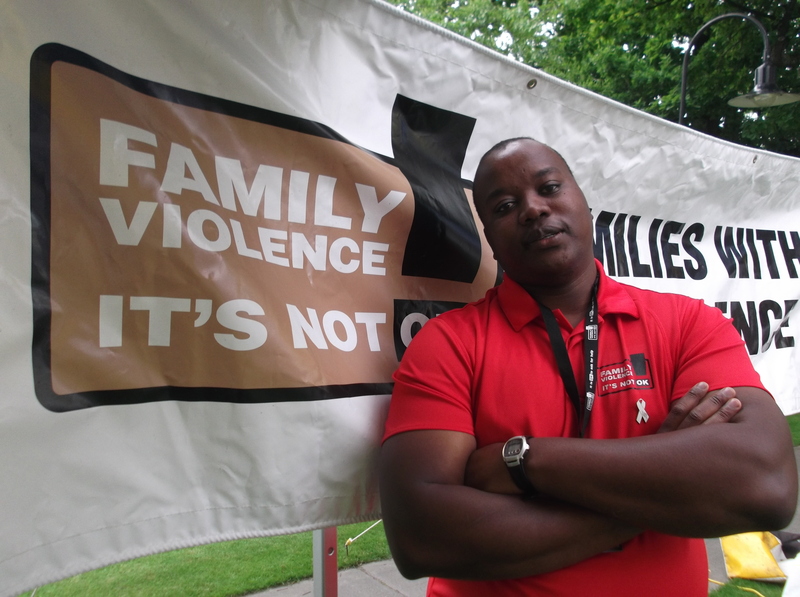 Jeremy has been a long-time supporter and promoter of the anti-violence / White Ribbon message. In his role as Editor of the Gisborne Herald, he has led his team to actively promote the kaupapa through numerous mediums over the past few years. Under Jeremy’s leadership, the Gisborne Herald has taken bold stances, such as a completely black front page with a white ribbon, and publishing a full-page letter providing a victim’s whānau an opportunity to express their grief. He has provided a significant amount of advertising for free and involved the Herald in community events where he provided leadership and a voice for the White Ribbon message. Jonnie is the Associate Principal at Papatoetoe Intermediate School a large multi-cultural school in South Auckland. He is passionate about education and ensure that the students in his class or within the school environment are always well catered for and supported in their journey through adolescence. Jonnie strive to promote restorative practices to resolve conflict. Formerly, Jonnie was the Maori Programme Co-ordinator at the Peace Foundation and is actively involved in promoting peace issues affecting youth and the wider community. He has an extensive knowledge and skills in conflict resolution, peer mediation and peaceful communication to help families, schools and communities become safer environments. Jonnie is of Maori descent in which he is proud to support other Maori in their journey to become violence free. He is a confident public speaker, and comes highly recommended as a White Ribbon Ambassador. Prior to becoming a Member of Parliament, Jonathan Young worked in Waitakere City for 20 years as a Minister where he led a multi-cultural community of people from many different ages, backgrounds and vocations. This work gave him a thorough understanding on the issues facing New Zealanders from all walks of life. Over the years Jonathan also worked in the fields of financial administration, software programming, property management, design and publishing journals and magazines. He started his working life as a teacher and has a strong commitment towards the opportunities education creates for people. As part of his former work, Jonathan developed links in Cambodia and has contributed to the development of Cambodian communities through his own involvement and the sponsorship of New Zealanders working in that country. Jude Simpson is a survivor of family violence, a White Ribbon Ambassador and now a Member of the New Zealand Order of Merit for her tireless services to the prevention of domestic violence. 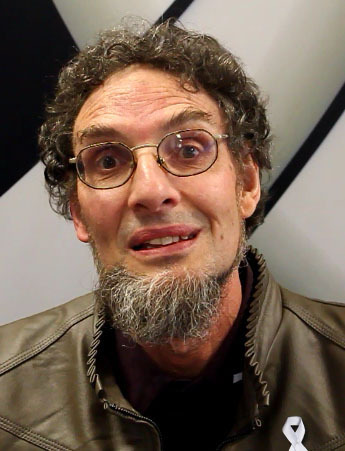 Jude experienced abuse as a child from the age of 9 and subsequently became caught up in a cycle of domestic violence, substance abuse and crime. For 28 years she lived in violent and abusive relationships, was a member of both the Mongrel Mob and Highway 61 gangs and had four children to four different partners. In her thirties Jude sought help and turned her life around. She is now a living example that change is possible and that people can break the cycle of violence. She is committed to helping others to live free of violence. Since 2014 she has worked full-time for the police as the lead family harm facilitator at the police college, and previously held that role part-time for about eight years. She is responsible for the design and delivery of new family harm and prevention police recruit course curriculum now taught in Auckland and at the Wellington police college. She also works as family violence prevention advocate for the Ministry of Social Development’s It’s not OK campaign and facilitates workshops for other organisations. Between 2007 and 2014, she was also the family violence prevention advocate for Presbyterian Support Northern area and she has been able to draw on her personal experience as a victim of abuse, outlined in her book Lost and Found: A Woman’s Living Proof. Judge Peter Boshier is Chief Ombudsman for New Zealand. He commenced in this position on 10 December 2015 and it is a five year appointment. He was born and educated in Gisborne and attended Victoria University of Wellington, obtaining a Bachelor of Laws with Honours Degree in 1975. After a period of practice in Wellington he was appointed as a District Court Judge with a specialist Family Court warrant in 1988. Judge Boshier has a long association with Pacific judicial issues and was seconded to undertake judicial training there, based in Suva in 2002 and 2003. Judge Boshier has travelled regularly to Pacific Island countries to undertake workshops on the subject of family violence and youth justice. He holds the Samoan Matai title of Misa which was bestowed in 2000. In 2004 Judge Boshier was appointed as the Principal Family Court Judge of New Zealand and held that position until December 2012 when he was appointed a Law Commissioner, a position he held until being appointed as Chief Ombudsman. Judge Boshier has served on the Government’s Family Violence Taskforce. He was the Chair of the White Ribbon Advisory Committee and is currently Patron of the White Ribbon Trust and Patron of the Dwell Community Housing Trust in Wellington. In 2009 Judge Boshier was made a distinguished alumnis of the Victoria University of Wellington for his contribution to the law. In July 2015, Judge Boshier became the President of the Association of Family and Conciliation Courts based in the United States. He is the first New Zealander to hold this position and does so until July 2016. My wife (Kathy) & I have been running a small business together for the last 8 years. We enjoy working together & most of our spare time is taken up with riding together on our motorcycles, whether it’s pastoral care, going to visit our kids, grandkids, club runs with the Patriots M/C Deep South Chapter of which I’m the club Padre, M/C rallies, or just riding somewhere together for us time. We have a wide circle of people in every walk of life we deal with every day. Kathy & I have been involved with the White Ribbon Ride for four years & it’s something that is very close to our hearts, as I was a perpetrator in the first three years of my first marriage of seven years, & Kathy was a victim of physical & mental abuse for most of her first marriage of five years. Being able to talk about our past to men & women of all ages about how our kids turned out with their relationships has helped others make changes in their lives. Kathy & I have been married for 34 years & have 11 kids, 22 grandchildren & 1 great grandson between us. “It is with real pride that I have been asked to become a White Ribbon Ambassador and it is a responsibility I take seriously. I believe those of us who are committed to being loving and respectful men need to speak out loudly and clearly that we will not tolerate violence in any form, be it verbal, physical, emotional or sexual. The vast majority of men are good men; we just need to make it known to our sons, brothers, fathers, uncles, cousins, nephews and mates who are violent, that their behaviour needs to change. Violent behaviour is a choice. With our collective determination we can turn the tide of violence against women, children – and other men, even if we have to do it one man at a time. Kalum Jury-Field is a case manager at Work and Income in New Plymouth and also part of the police-led organisation known as Big Brothers, Big Sisters – where he is a brother to a young man for whom this role model support is invaluable. Kalum is also a Public Services Association (PSA) delegate, another role which he handles with diplomacy and confidence. Kalum wants to raise awareness of the violence affecting New Zealand and is passionate about his desire to make a difference. Lua has worked on a range of violence prevention initiatives and programmes over a 10-year period. 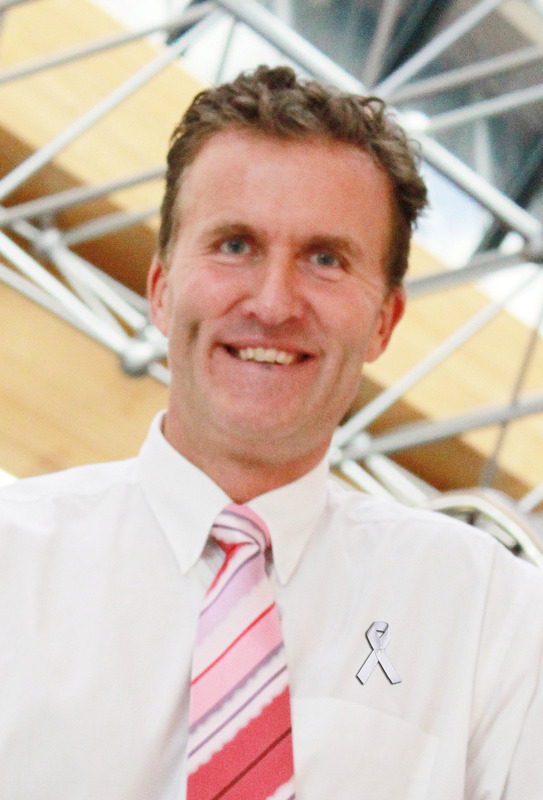 He has been involved with White Ribbon NZ since it started in 2004. Lua feels he is able to relate to men, both young and old, and wants to help them develop healthy relationships with women. He is a strong role-model in his community and already viewed as a champion within his networks. Lua has already been actively involved in the promotion of White Ribbon events in his local area and is enthusiastic about promoting the positive messages that align with our campaign. He has excellent interpersonal skills and his affable nature allows him to connect with large audiences. Lesley is the mother of Sophie Elliott, who was killed seven years ago by ex-boyfriend Clayton Weatherston. Lesley has retired from nursing and dedicates herself full-time to Loves me Not, which is a programme that was developed by the Sophie Elliot Foundation. The foundation she helped set up, is a legacy to Sophie, the aim of which is to raise awareness of all young women, and their families and friends of the signs of partner abuse and to help them get out of abusive relationships and keep themselves safe. If your school would like to consider Loves-Me-Not, you can contact your Police School Community Officer. More Information about implementing Loves-Me-Not can be found on the Police School Portal or view this film made for parents of students about to attend a workshop. Lesley has worked so hard to change the violent culture that exists within New Zealand, and has supported White Ribbon speaking at numerous events because Lesley knows we must educate our young men and teach them about respectful relationships. In 2014 Lesley was the overall winner of the Women of Influence award in New Zealand and deservedly so. I was honoured when I was asked to be a White Ribbon Ambassador. My daughter would have supported any opportunity for me to speak out against men’s violence and White Ribbon is an effective campaign that allows men to speak to other men. It’s been hard though, reliving the loss of a family member, but if I can stop just one act of violence then it’s worth it. The campaign has been nothing if not supportive, and I’m thoroughly impressed by how White Ribbon gets its messages out to the whole of New Zealand and particularly, the campaign team’s support and nurturing of community initiatives. Change begins with each and every one of us. If I can accept the challenge to end men’s violence towards women, I’m confident my neighbours, my community, our political representatives and ultimately the men of New Zealand can also take on this challenge and put an end to the appalling acceptance of violence in our country. 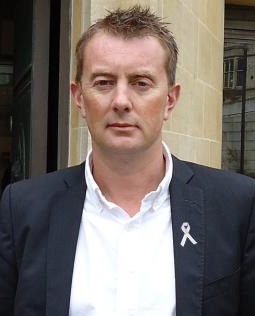 Mark is the vice chair of the White Ribbon Trust that is responsible for the White Ribbon Campaign. Mark Mitchell was a Cabinet Minister in the last National Government and is National’s MP for Rodney. He was the Minister of Defence, Minister for Land Information, and Associate Minister of Justice. Mark entered Parliament in 2011 when he was elected as Rodney’s Member of Parliament, a seat he won again in 2014. Mark joined the New Zealand Police in 1989, and was a member of the Dog Section and Armed Offender’s Squad. After leaving the police, Mark relocated overseas and launched an international business career, including the start-up of his own company specialising in hostage rescue, supply chain security, and risk management. Working closely with the World Economic Forum, he helped establish logistic emergency response teams that provided humanitarian support in countries hit by natural disasters, such as the Philippines, Pakistan, and Haiti. He was also a member of the executive management team of several global companies, including one of the biggest logistics companies in the world. 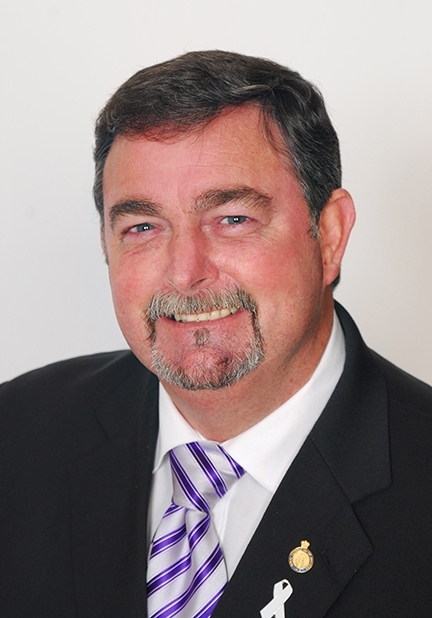 Mark enjoys the kiwi lifestyle and spending time with his family in their hometown of Orewa. I reside in the beautiful Wairarapa where I am currently Deputy Chair on the Featherston Community Board and feel any change needs to start at grass roots level which is why I understand the importance of Stopping Violence Services and groups throughout the country. I have been involved with White Ribbon Riders for the past 6 years and find it immensely rewarding talking with people ranging from school children to adults, around the importance of respectful and trusting relationships. I am also heavily involved with Lower North Island Riders Against Teen Suicide and find these 2 Kaupapa are very closely linked through domestic violence and bullying. I recognize and understand that simply because someone is a perpetrator of violence, that does not necessarily make them a bad person as quite often these perpetrators also need help to turn their lives around. Quite often by doing this they become an important part of our journey with White Ribbon whanau, sharing their experiences as we travel around helping others realize there is a “way out”. I look forward to continuing my journey with the White Ribbon Campaign both on the road and within my region to stop violence, but also to help remove the stigma of Domestic Violence, which often stops both victims and perpetrators from seeking help. 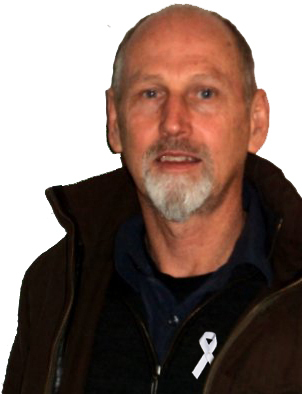 Mark works as a Counsellor in Private Practice primarily in the city of Porirua and also the wider Wellington area. Additionally he applies his profession with local community NGOs and schools. He has a passion to help people to explore and discover the potential to enhance their lives. He has worked as a Youth Mentor and a Business, life and sports coach. The work he does in his profession covers a broad spectrum of issues people experience and encounter in contemporary life. These include but are not limited to; Family and men’s violence, anger management, historical sexual abuse (men & women), mental health issues, addictions –alcohol and other drugs, stress, anxiety, trauma, depression, grief, suicide, life meaning and direction. Prior to his current vocation he worked in senior management spanning 20 years in the design and print communications industry. Mark has also chaired and sat on boards and is presently a board member for Central Regional Health Schools. He lives with his partner of 35 years and they have two adult sons. Mervin Singham has provided leadership in various ethnic communities in Aotearoa for many years. He was the director for the Office of Ethnic Affairs and has worked at the Human Rights Commission and is now the Deputy Chief Executive within the Department of Internal Affairs. These areas of work have raised his own awareness of the impact of discrimination, abuse and violence, and made him committed to the cause of ending violence. Mele Wendt has a past lived experience of family harm which she and her husband, Eteuati Ete, publicly speak about. Having survived a turbulent period over 20 years ago, they share the particular factors that enabled their marriage to become violence-free and to thrive. Professionally, Mele worked for 24 years in education – first as a secondary school teacher and then at Victoria University of Wellington as the founding Pacific Liaison Officer and the manager of the domestic student recruitment office. She then served ten years as the Executive Director of Fulbright New Zealand. In the past few years Mele has been serving on a number of boards (including Chair of the Pasifika Education Centre in Auckland) and providing consultancies in several areas. Mele is involved in a number of women’s organisations and Pacific community groups, including P.A.C.I.F.I.C.A., the national organisation for Pacific women. She is a strong advocate for and mentor to women and girls, especially in the Pacific community. Mele is Samoan and pakeha/palagi, and has lived in Wellington for over 30 years. With four grown children, she and Ete are doting grandparents of three grandchildren and recently Mele was awarded the New Zealand Order of Merit for services to governance, the Pacific community and women. I am honoured to take up this appointment as a White Ribbon Ambassador. I hope that together we can increase the number of whänau, men, women, iwi and communities who feel supported and encouraged to stand up and voice their intolerance of violence against women and children. Family violence fundamentally affects our whole society. It is the responsibility of all New Zealanders to front up and take action against family violence and this is why I have chosen to add my voice. Porirua proud, I chose to raise my family here 13 years ago because our amazing open spaces, and vibrant communities make this the best place in the I’ve spent my adult life working for a fair go and a better life for people, and protecting New Zealand’s precious natural environment. My kids and I have played sport in Porirua, I’ve served on school and kōhanga boards, and worked with at risk youth. We have a strong network of friends and whanau across the city. Porirua is an amazing place and we love it. 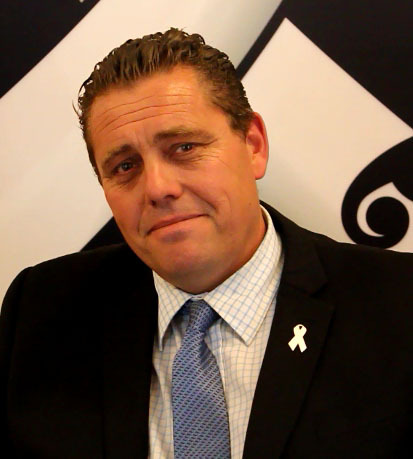 Mike is the Mayor of Porirua and is a proud White Ribbon Ambassador and White Ribbon Rider. He has a passion for his community and this feirce commitment to ensuring Porirua is violence free shines. Murray Edridge​ is the first not-ordained missioner to lead the Wellington City Mission charity in its 114 years, and the first in two decades to also assume the chief executive role. 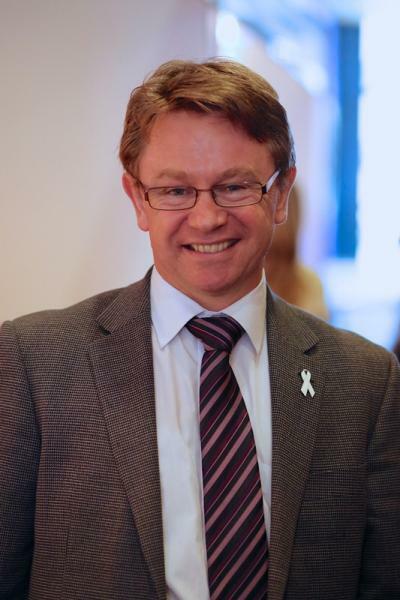 Previously Murray was the head of the Ministry for Social Developments’ Family and Community Services and was the Chief Executive of Barnardos New Zealand for over 8 years. In this role he worked with and on behalf of many thousands of children, young people and their families. Murray also has had a long history of voluntary work. He has a commerce degree from Victoria University and is a Chartered Accountant. 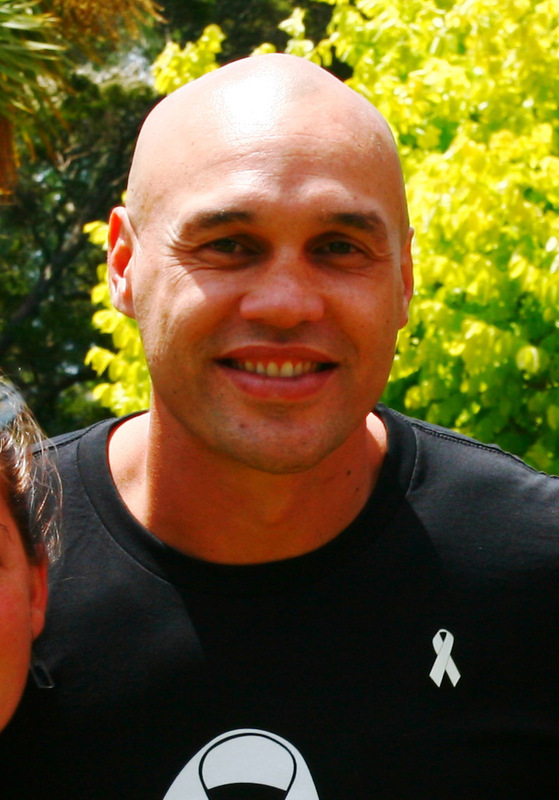 Murray is one of the original White Ribbon Ambassadors, taking up the position in 2009. He continues to support the campaign and is a vocal advocate for ending violence towards women. Narinder is a Justice of the Peace, Independent Marriage Celebrant and holds a Masters Degree in English. He has a Diploma in Pharmacy and a Post Graduate Diploma in Health Family Welfare and Population Education and is a Registered Ayurvedic Medical Practitioner. He is the Editor and Director of NZ Tasveer News, a leading Punjabi Newspaper. Narinder is a highly respected member of the Indian community who demonstrates both a professional and personal commitment to addressing domestic violence. He actively promotes healthy and respectful relationships, which he believes are the answer to preventing family and social violence. Narinder is passionate about helping young people develop their full personal potential, both in terms of character and ability. His goal is ‘that all families are living free of fear, have peace of mind and above all without violence’. Narinder has a long history of advocating for the equality of women, and has been writing articles in newspaper and running sessions about eliminating violence towards women with excellent results. “We need to support the campaign and encourage others to take the pledge and end violence towards women”. Neil Alton was recently appointed to the Bay of Plenty Rugby Union Operation Manager role. Prior to this Neil was the Chief Executive Officer of the Poverty Bay Rugby Union and actively brought the Union into the It’s Not OK family. “We thought we could make a positive difference on a local level to raise awareness of family violence. There is no doubt that family violence is a serious issue and with the help of some local role models we want to get the message out to young people and the whanau that family violence is unacceptable and help is available”. Pancha has played a strong role in the New Zealand Federation of Multicultural Councils in looking at the role of women within the Federation, and in consistently raising the issue of family violence in all its forms within the Council and within the more recent migrant and refugee communities across the country. Pancha wants to contribute to turning men around in the migrant and refugee communities to not only respect women as equals, but also to see the success of women as their own. Pancha has earned the respect of many women within the ethnic community for raising his concerns, and challenging men to own up and address issues in a fair,inclusive, just and caring manner. Welcome aboard Pancha! Paora is a ‘big’ role model in the Hawkes Bay community amongst people of all ages. He was a professional basketball player and is now the player-coach of Hawkes Bay and runs the The Paul Henare and Paora Winitana Basketball Academy. Paora has the ability to connect with young people, especially with Maori and Pacific Island men. He is well known as a family man with a strong anti-violence ethic growing up in a gang house. His father is still in the Mongrel Mob, and as a young man he helped his mother to leave (and shift to Australia where she might be safe). But don’t take our word for it, take a look at Paora speaking about White Ribbon on Maori Television. Paul retired in May 2013 after 25 years as a District and Family Court Judge. He had presided over the Family Courts in the Manawatu and Hawkes Bay and was Acting Principal Family Court Judge for periods between 2005 and 2010. Positions held prior to appointment as a Judge included President of the Hawkes Bay District Law Society, Chancellor of the Anglican Diocese of Waiapu and being a member of both the New Zealand Council of Social Services and the Hawkes Bay Hospital Board. He was Chair of the Ministerial Expert Advisory Group on Family Violence and was a member of the Family Violence Death Review Committee and a Board member of SuPERU/Families Commission. He is a member of the Advisory Panel to the Chief Executive of the Ministry for Children/Oranga Tamariki. Paul has published articles on family law topics in international and New Zealand journals and delivered papers at local and international conferences. He is a member of the International Association of Family Judges. Paul was made a Companion of the Queen’s Service Order in 2011. He is married with three children and seven grandchildren. Pejman is the CEO of The Warehouse and Warehouse Stationery. He is passionate about raising awareness in his organisation and the wider community, that violence against women is not acceptable. As an Ambassador, Pejman sees his role is to challenge and educate others with an aim to stop men’s violence towards women. He currently provides a variety of initiatives in his workplace that encourage both men and women to consider their own relationships and if support is required, direct them to the appropriate support network. Pejman realises that this topic is confronting and highly sensitive but is determined these issues be bought out into the open and, as a result, others are empowered to seek help. Pejman is seen as a strong, influential character that has the ability to inspire others. He has access to a large number of team members, other businesses and leaders through which he can promote the anti-violence against women message. Peter has been Managing Director of McLaren Associates Ltd since 1989, a boutique Management Consultancy, specialising in multi-tasked Human Resources activities, including recruitment, organisational consulting, job evaluation and remuneration planning. From the 1st of April 2015, Peter will be stepping down from the operational perspective of the company’s business and will take up the position of Chair of the Advisory Board of McLaren Associates Ltd. Throughout Peter’s career he has been involved in high level Human Resources Management positions with multi nationals and New Zealand companies. He has held a vast number of Chair and Board appointments with Not-for-Profit/ Voluntary and Welfare organisations, particularly within Mental Health/ Family and Animal Welfare market sectors. Peter was awarded a Paul Harris Fellow from the Rotary Club of Wellington for his services to the community. 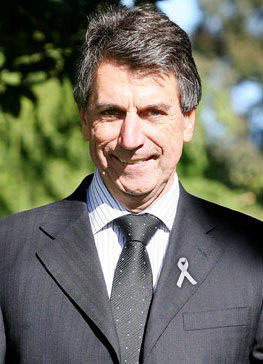 As a White Ribbon Ambassador, Peter will play his part in reducing violence within the family environment as well as advocating for equal rights for women. Hon Dr Pita Sharples was the co-leader of the Maori Party and Minister of Maori Affairs was announced as a White Ribbon Ambassador on 21 June 2012 at a special Matariki Candlelight Vigil on Mangere Mountain. Dr Sharples opened the vigil with an acknowledgement to the more than 100 men, women and children who have died over a five year period through domestic violence or child abuse. Dr Sharples has co-chaired the Waitakere Task Force on Family Violence for many years, initially with former mayor Bob Harvey, also a White Ribbon Ambassador. “I’m honoured to have been nominated as a White Ribbon ambassador. I have worn a White Ribbon for many years as a symbol of non-violence, and now to be asked to take a leadership role is very humbling. I believe that our tamariki are our future and they deserve to grow up in homes that are violence-free and I want to encourage young men to build relationships based on love and respect,” Dr Sharples says. Raj has a Masters in Sociology and LLB and migrated to New Zealand in 2002. His professional journey in New Zealand includes fulfilling roles as a South Asian Life Style Coordinator-ProCare, Community Centre Manager YMCA Auckland and Programme Advisor Migrant/Adult Educator Ora Limited NZ. Currently he is a qualified interpreter with CMDHB, ADHB and DOL. Raj believes that an effective way to change attitudes of men towards women is by educating and raising awareness through legal, cultural, spiritual and religious settings. He is well known for his commitment to raising awareness among the community on various issues when needed. He very much reckons his family’s support in his endeavours towards having an educated and aware community development. As an Ambassador, Raj intends to continue promoting interest at speaking engagements, community events, and motivating others to challenge the abusive behaviour of men in the families. Rajneil Prasad was born in Fiji and has lived in New Zealand for over 13years. He is married to a Samoan. Raj works for Airways Corporation and is the President Elect for the Rotary Club of Hutt River Valley. Raj describes himself as a “simple guy” and believes in simple grassroots objectives. He believes that all lives matter and in improving one life at a time. His upbringing has taught him a lot and has shaped his present and he believes that the lessons learned and actions done now will dictate his pathway into the future. 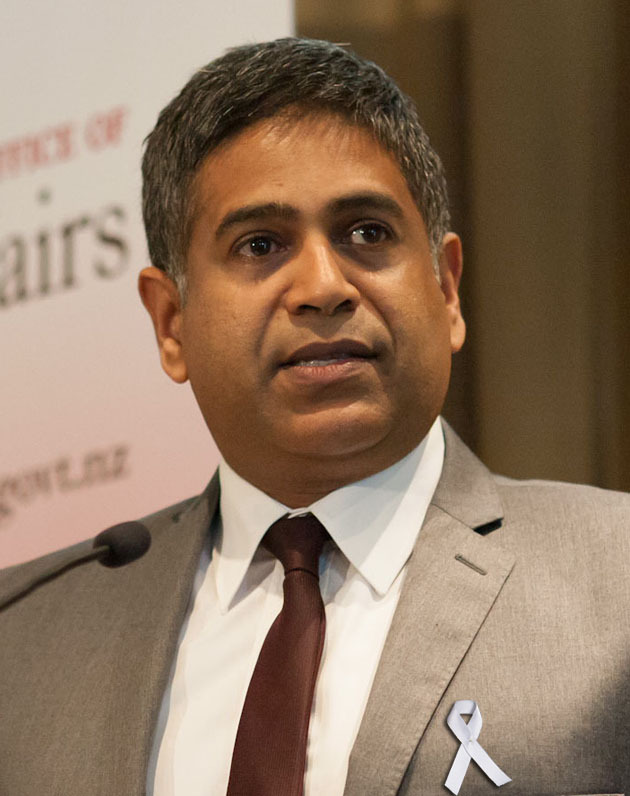 Ratilal Champaneri is a highly respected member of New Zealand’s Indian Community. As a husband and father of a girl and two boys, Ratilal is aware he is a role model, not only for his children, but also for the wider community. While interacting with him, one cannot help but notice the immense respect and sensitivity he has for women. Ratilal understands that changing people’s attitudes and mentality towards women will take a long time. 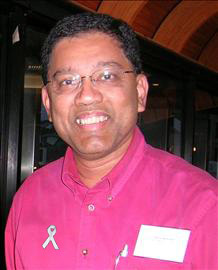 In becoming a White Ribbon Ambassador, Ratilal hopes to raise awareness of the issue of violence toward women, educating boys and men to view women as valuable partners in life. He believes attitudinal change is equally as important as taking legal steps to protect women’s human rights, and vital to the development of society and attainment of peace. He believes in a concentrated collaborative approach between government, non-government including healthcare authorities, legislators and mass media. We welcome Ratilal’s passion and desire to make a difference. Rawiri has previously worked for the Kokiri Marae Health and Social Services where he was a passionate colleague, but is now following a boyhood dream and entering the army to be a social worker. By becoming an ambassador, Rawiri wants to be the face of the message for Maori men against violence, and be an active participant against violence. Ray says “Churches have many opportunities in their work and engagement with their communities to promote concepts of positive masculinity which support gender justice.” The Presbyterian Church has long been committed to supporting the White Ribbon campaign and each year many of its churches take part in events aimed at educating about how to prevent and stop violence against women. Ray is in his third term as Mayor of Lower Hutt, and is a co-patron for the Safe Hutt Valley network – a group of organisations committed to promoting safety in the Hutt Valley and reducing the number and severity of preventable harm incidents. Within the council environment, Ray stresses an open door policy where anyone with family violence issues can ask for support. A strong sense of community mindedness has seen Ray involved with numerous community projects such as fundraising for the local volunteer fire brigade, organising food bank appeals and coordinating youth awards. He has been a Justice of the Peace for 24 years. In his role as a White Ribbon Ambassador, Ray wants to help lift the awareness of family violence and stress that it is not okay. Ravin was Vice President of the Multicultural Council of Wellington for five years and has been working closely with the White Ribbon Campaign to raise the issue of men’s violence towards women within his own community. Ravin will be promoting and campaigning to highlight the White Ribbon message on events organised by the Multicultural Council of Wellington. Ravin has good leadership capabilities, is a reflective listener who carefully considers viewpoints. He encourages others, is always positive and is highly regarded in the community. Ravin has embraced the White Ribbon campaign and has persuaded his Wellington branch members to become involved and organise events during the year’s campaign. Ric is a Trustee of the White Ribbon Trust and the founding Chair. A former Army officer, Ric has a strong commitment to the community, is a JP and has been a member of Comvoices and founding Chair of Ara Taiohi – the national umbrella organisation for youth. Ric is currently Chief Executive Officer of Franklin Hospice and his previous roles included Chief Executive Officer of YMCA New Zealand and Chief Executive Officer of the RNZSPCA. Ric is married to Jenny and has three children. Also a motorcycle enthusiast, Ric has taken part in a number of White Ribbon Rides on his big blue Honda Goldwing, and as an Ambassador speaks to businesses and communities on a regular basis. Former Breakers boss is now the running the Brisbane Bullets. “It’s was a great honour to be asked to be a White Ribbon Ambassador. We are being asked to lead by example; to ensure that our family and friends know that violence is never acceptable, and to use our public profiles to get this message into the wider community. Rob has been involved in family violence prevention since the 1990s, working for several agencies including Stopping Violence Dunedin, Te Whare Pounamu Dunedin Women’s Refuge, the STOP programme, and more recently as the Family Violence Network Coordinator in Dunedin. As the network coordinator he organised many community and WR events, Men’s hui, and supported other agencies and groups in family violence prevention. He also developed the Families Free From Violence campaign to raise awareness and encourage people to take responsibility to ending FV in their whanau and community. Rob is passionate about community development, and strongly believes that we all have a role to play in preventing family violence. I am a trained teacher with many years of classroom experience and have worked in the primary, secondary, and tertiary sectors of education. Currently I am working in a secondary school in the Counties Manukau area where many of the students already wear the White Ribbon, but are not fully aware of the meaning behind the symbol. My position brings me into contact with numerous young people on a daily basis and I view this as an opportunity to introduce the White Ribbon campaign to them and to educate them that violence towards women is not acceptable. Over the years I have worked with YMCA Youth at Risk groups, Victim support, and taken an active part in mentoring disadvantaged school age youth. I have coached and managed schoolboy Rugby League and Hockey teams up to representative level. I am a keen advocate for the rights of Secondary teachers, have been a union member for all of my teaching career and am the Executive Member of the Post Primary Teachers Association for Counties Manukau. During my six years as Mayor of Tararua I felt privileged to be asked to be an ambassador for White Ribbon. We have recently rejuvenated the small hard working District committee, and have opened it up to welcome more relevant people on board. In order to better relay the White Ribbon message we need widen the support amongst local people. We know we can make a difference to those in need by pointing them in the right direction, but we need to get them to come forward for help. We look forward to making a difference. Ronald is of Rangitane, Ngati Kahungunu and Ati Haunui a paparangi. He is passionate about his family and community. Ronald became the first White Ribbon Ambassador from ACC in 2015. Prior to this, Ronald worked with Wairarapa Violence free to reduce child deaths in 2002. Ronald is on his local District Health Board, Rangitane o Wairarapa Board and is self employed. Ronald loves helping whanau. Ron is the Chairman of 4ABC (For A Better City) in Upper Hutt. His aim, as an Ambassador, is to work with the Mayor of Upper Hutt to develop a programme that helps to eliminate violence in the city. Ron is challenging the behaviour of abusive men by actively engaging and giving his time, skills and resources to the Hutt Valley PSO (Police Safety Order) project. Ron is a natural leader and a well-respected individual, with a true passion to reduce men’s violence towards women. 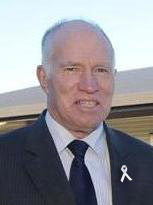 Ron is the White Ribbon Ambassador Liaison and is currently helping to revamp the White Ribbon Ambassador project. 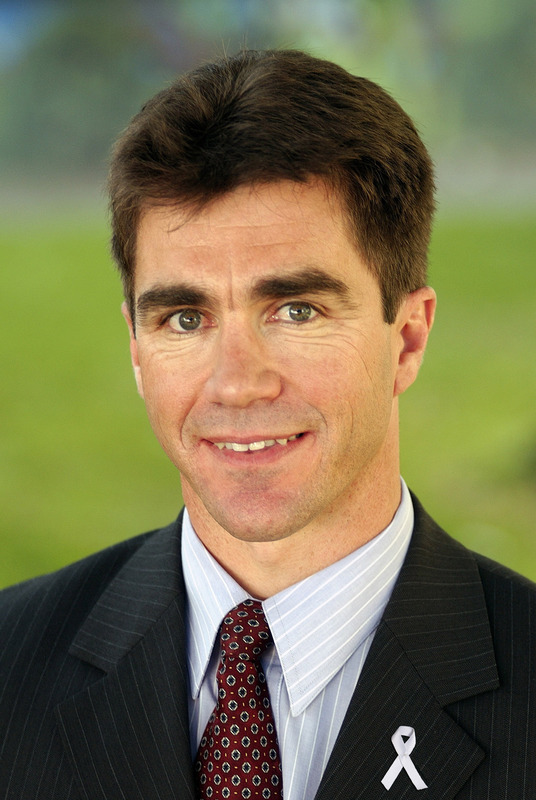 Dr Russell Wills was New Zealand’s Children’s Commissioner beginning his five-year term in 2011. Dr Wills trained at the University of Otago Medical School in Dunedin and Christchurch and began his paediatric training in the United Kingdom. He completed his training, and gained a Master of Public Health degree, in Brisbane. In New Zealand he took up the roles of national paediatrician for Plunket, senior lecturer at the Wellington School of Medicine and community paediatrician at Wellington Hospital. Returning to his home region of Hawke’s Bay, he became a general and community paediatrician at Hawke’s Bay hospital. Dr Wills’ clinical interests are in general paediatrics, child protection and children with severe behaviour disturbance. He sees many children with autism, ADHD, foetal alcohol effects and the behavioural and developmental effects of abuse and neglect. “I hope that my example inspires more men to commit to never being violent towards their partners and children, and to speak up when they see violence against women and children.” Retiring from the Commission he lives in Hastings with his wife and two sons where he is an active paediatrician. As the Principal of The Greenfield Forest School, Ryan works closely with a multicultural team to provide outstanding educational and leadership opportunities for international students in New Zealand. The courses The Greenfield offers highlight the environmental challenges we face locally and globally and the need for sustainability. Ryan is committed to supporting men to help change their violent behaviour towards women and is looking forward to his new role as a White Ribbon Ambassador. Saty Candasamy is a vocal proponent of non-violence and worked on the White Ribbon Campaign from 2009 to 2012 before rejoining as an Ambassador in 2016. Saty initially led White Ribbon’s ethnic outreach, supporting ambassadors to participate in the campaign and helped to organise the first White Ribbon Ride. Outside of work Saty is extremely well thought of as a respected former principal who has both integrity and management skills. He is now the chair of the White Ribbon Advisory Committee and a member of the White Ribbon Trust that is responsible for the management of the campaign. Shane Whitfield is a Manager of Community Social Services in Christchurch. In his current role he works with families and solo mums who have been subjected to violence from ex partners. He is a great listener who relates well to both men and women, talks about the hard stuff and is gentle when he does so. Shane is an honest family man, a great communicator and someone who “walks the talk” in the trying environment that Christchurch currently finds itself. 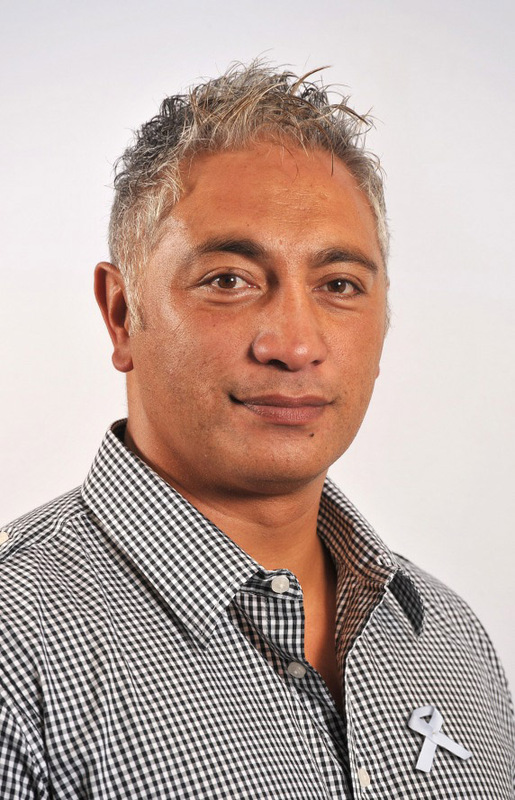 Simon is the son of legendary All Black Kel Tremain who established Tremain Real Estate (Tremains) in 1970. The Tremain name is symbolic with Hawkes Bay with Tremains modelled on family values and community involvement. Tremains supports/manages/sponsors many clubs/schools/events Hawkes Bay wide. Why do some men believe it is an acceptable practice to hit women? Are they gutless? Do they have low self-esteem? Whatever their issues are our society cannot accept that this behaviour is tolerable. For children to grow up in these homes with their mothers experiencing physical and or psychological abuse is totally unacceptable. Let’s work together to eliminate violence against women in New Zealand every-day life. 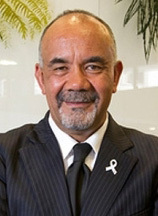 Soni has been advocating White Ribbon for over 12 years, predominately in Pasifika communities. He has been involved in a number of projects, both domestic and international, where he has bought the issue of men’s violence towards women to the attention of a wide audience. Soni is an active organiser and has various projects that he wishes to become involved in. He hopes to bring about an environment of social change that reinforces human rights and equality between men and women. Soni would like to see both men and women demonstrating shared responsibility, mutual respect, trust and harmony towards each other. Soni is described as a caring and compassionate man who is able to mix with people from a variety of cultural and social backgrounds. 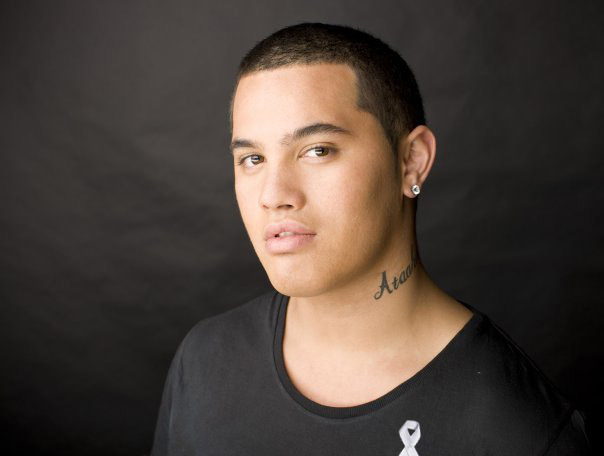 Australian Idol Winner Stan Walker became a White Ribbon Ambassador in November 2010. Stan is ideally placed to use his public profile to champion a violence-free lifestyle to other men. Stan explains, “I was blessed with a voice and not just a singing voice. I have a unique opportunity to talk to other young men and tell them that violence against women is not OK. As a child I witnessed and experienced some terrible things,” Stan says. “My house felt like a scene out of ‘Once Were Warriors’. Stephen believes in backing up his words with action. In 2017, he walked 4,000km through the whole country with his two dogs to raise the profile of animal welfare organisations in New Zealand. He is passionate about working towards a world where men are seen as carers and guides rather than something to be feared. He brings this passion into his work with at risk youth and as the co-ordinator for the local It’s Not OK “Community Champions” campaign in Hokitika. He understands that when one person is hurting, it affects the whole community. So he accepts it is his responsibility to help. Everyone has the right to respectful relationships that help them thrive. Stephen wants to encourage other men to challenge their own beliefs, language and actions. Surinder is involved in Rotary (former vp) and multicultural societies (he won the Queens Medal in 2014 MNOM for services to multi-cultural communities). Because of his long association within these communities, he feels people see him as a role model. 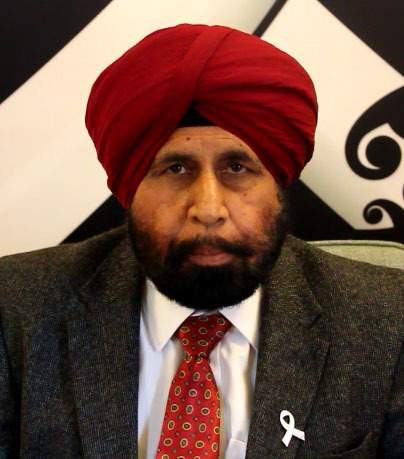 Surinder sees his purpose as an Ambassador is to educate and promote the White Ribbon principles. He is keen to help challenge and change other men’s abusive behaviour and attitudes towards women, in particular within migrant and refugee communities. 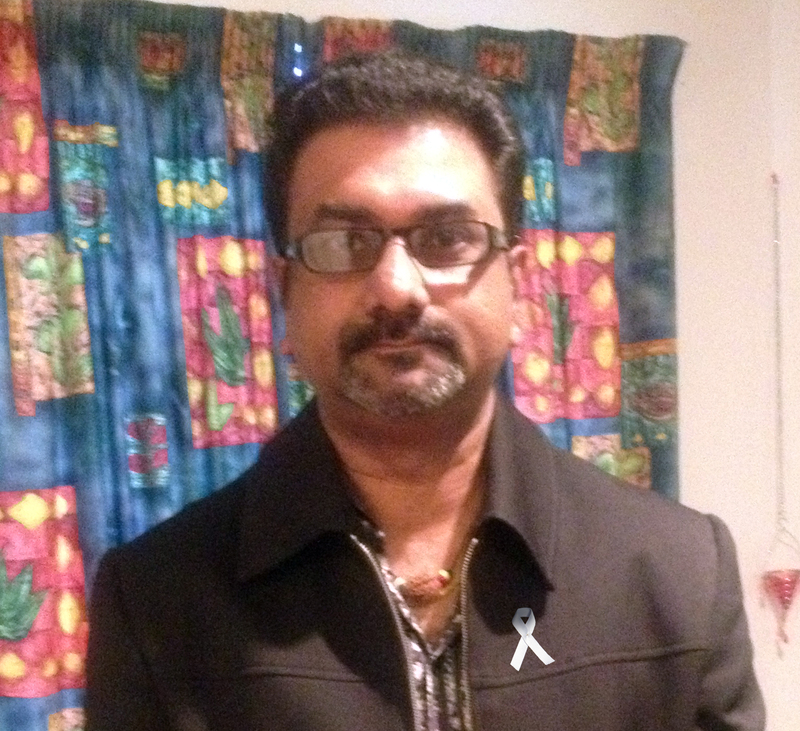 Surinder wishes to identify and encourage other potential Ambassadors to support the White Ribbon campaign. Takurua Tawera is a humble, spiritual man of integrity who exemplifies consistent behaviour in both his work and personal life. He knows the challenges and opportunities in working to address men’s violence, as he has both the past experience and current knowledge through his work engagements. He is actively involved in his community and has a history of being involved in the White Ribbon Campaign. This year Takurua will again be co-leading the White Ribbon Ride under Te Ahi Kikoha – “The Sharpened Flame”. This entity born in 2011 brings a wealth of Maori knowledge and expertise combining both personal strengths and the group’s passion to end violence with their love of bikes. Takurua is the chair of the White Ribbon Trust that is responsible for the management of the White Ribbon campaign. Tau Huirama is CEO Strategic Relationships at Jigsaw. He plays a leading role in the development of national strategies for the prevention of child abuse and family violence across Aotearoa New Zealand. Tau is from Tainui waka and of Waikato and Ngati Maniopoto descent. He is a loving father and grandfather, with four adult children and three grandchildren, and also Koro to very many grand nieces and nephews. His desire is for all children to be nurtured and encouraged to achieve their dreams. Tau has worked in child protection and family violence prevention for the past 20 years in the community and justice sectors. His past roles have included counselling and group work for sexually abused children, and group facilitation for men who have been violent towards their partners and children. Te Ururoa Flavell belongs to the Ngāti Rangiwewehi and Ngāpuhi tribal nations. He lives with his wife, Erana, in Ngongotaha, Rotorua and has five children. 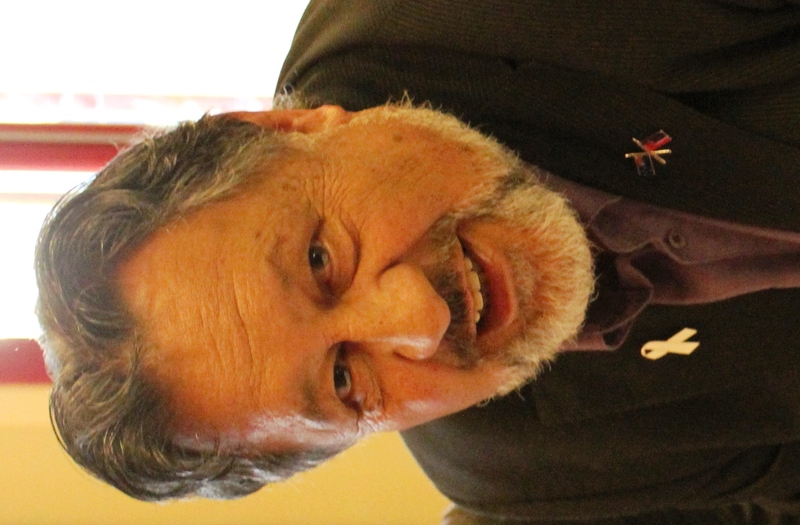 Previous to being an MP, Te Ururoa has worked in education circles for most of his life. He has filled leadership positions at all levels of the education sector in teaching, Governance and Management, and has been a teacher, principal, CEO of Whare Wānanga, and an education consultant. He has also been involved in education programmes about Te Tiriti o Waitangi over many years and deeply involved in the settlements process on behalf of his own iwi and Te Arawa whānui. He is a long standing supporter of the Māori civil rights movement and is passionate about the need to end violence. Tim Keating enlisted into the New Zealand Army as an Officer Cadet in 1982 and was appointed Chief of the Defence Force in 2014 and has just recently stepped down. He has a Master’s degree in Strategic Studies from the United States Army War College and was awarded the New Zealand Order of Merit in 2008. “I am honoured to be nominated as a White Ribbon Ambassador. I am very pleased to be able to lend what weight I can to this vital cause. The New Zealand Defence Force supports the important message of the White Ribbon campaign. We have an opportunity through the White Ribbon ambassadorship to demonstrate, not just to NZDF, but the wider community, leadership on this issue. Within the NZDF, we have developed a family violence prevent and management policy, and education and training programme that promote workplace wellbeing and safety. As co-founder of the Tairawhiti Men Against Violence group, co-ordinator of the Tauawhi Men’s Centre and Chair of the Tairawhiti Abuse Intervention Network and being a White Ribbon Ambassador and It’s Not OK Campaign champion, Tim’s paid and unpaid work overlap and the product is someone who really “walks the talk” every single day. “To me the White Ribbon pledge and wearing the ribbon represents a way of being that is year round and a “life-time” rather than “one- time” commitment to being violence free. It is a call to men, which comes with a challenge to make a stand about this issue and to encourage other men to do the same. We all have our own journeys and will therefore have our own way of demonstrating this – the key is starting with ourselves and the recognition that if I’m safe, I can promote safety to others”. 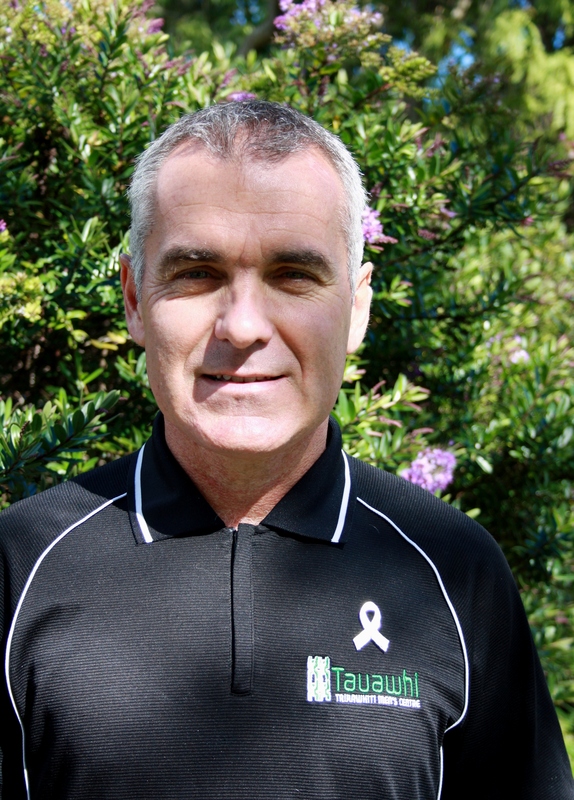 Trevor Simpson works in health promotion and was nominated by The Health Promotion Forum at the suggestion of Tau Huirama, another White Ribbon Ambassador who sits on their board. Trevor is highly regarded in his community as a leader and moves easily across groups of people in many cultures, while proudly wearing the White Ribbon as a mark of his support for the White Ribbon kaupapa. Umar Kuddus is a Barrister and Solicitor working in an Auckland law firm specialising in Commercial Law.He is a member of the National Party and his passion to make a difference regarding domestic violence along with his many other qualities has gained him a great deal of respect in the South Auckland community where he resides. He was a member of the Counties Manukau Police Youth Advisory Board which has allowed him to connect on a deeper level with our communities, specifically to make them a safer and happier place to call home. Working with youth and volunteering his time at the Auckland Community Law Centre he has developed a broad perspective on how family situations, such as domestic violence, affect children and family structure. Umar is also a prominent figure within his Muslim Community and uses his position to stamp out and stand up against violence towards women and the victimisation of any minority group in general. Umar is actively concerned with what can be done to mend familial relationships within our communities. Virin was actively involved for a couple of years with the White Ribbon campaign in South Auckland to promote awareness on ending violence towards women. 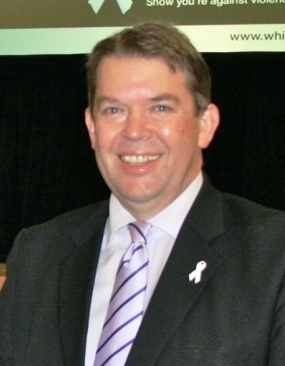 In 2015, he was nominated chair of the newly-formed White Ribbon Auckland Central committee composed of more than 15 community and local government organisations. Through his role at The Peace Foundation, Virin effectively established networks with community organisations to help create more peace, respect and love among families in Auckland. With a background in public relations, journalism and personal development, he values the importance of effective communication skills in building and nurturing strong and enduring relationships. As a White Ribbon Ambassador, he aims to strive to not only keep following the principles of the campaign but also endeavour to help and educate other men and the wider community on the issue of violence towards women through collaboration and learning.